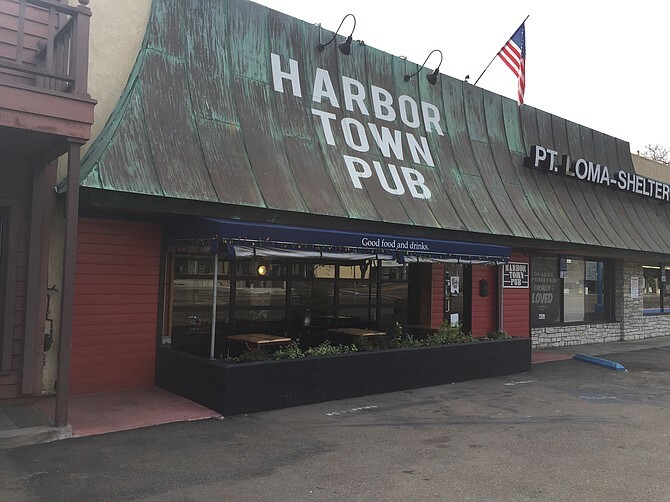 Harbor Town Pub is the type of unpretentious bar that is great for watching sports or just hanging out. The brunch features the Kim Chee Bulgogi Hash, an outstanding dish. The $11 Dub Town Bloody Mary is very strong. Monday 3-6pm: $5 drafts, house wines, Ballast Point spirits, $2 BBQ sliders. Tuesday 3-6pm: $5 drafts, house wines, Ballast Point spirits, $2 BBQ sliders. Wednesday 3-6pm: $5 drafts, house wines, Ballast Point spirits, $2 BBQ sliders. Thursday 3-6pm: $5 drafts, house wines, Ballast Point spirits, $2 BBQ sliders. Friday 3-6pm: $5 drafts, house wines, Ballast Point spirits, $2 BBQ sliders. Sunday 10 a.m. to 1 a.m.
Thursday 8 a.m. to 1 a.m.
Friday 8 a.m. to 1 a.m.